By Dennis Weaver From The Prepared Pantry. The weather outside may be horribly hot, but that doesn’t mean you have to be too. We’ve been working in the kitchen all week coming up with ways to beat the summer heat. Here are the top three frozen treats we were able to whip up. They are guaranteed to cool off your toasty afternoon, no matter what the temperature—and no A/C is required! 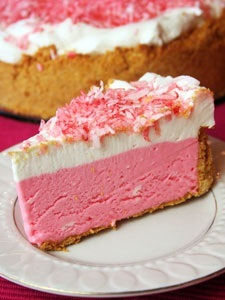 We’ve been making pink lemonade pies and their cousins for years now. After much trial and error, we’ve found using a springform pan instead of a pie pan works best, but you can use either. These pies are absolutely scrumptious. They are frozen, almost ice cream pies, and don’t require baking (unless you choose to bake the crust for eight to ten minutes) so they are perfect for summer. Since everyone loves them, they’re great for guests or a family occasion. They can be made ahead and frozen if you won’t have time to make anything the day of a big event. The best thing about this recipe is you can use whatever juice concentrate you wish—cherry cranberry, peach mango, cranberry pear—and it’ll come out just as tasty. 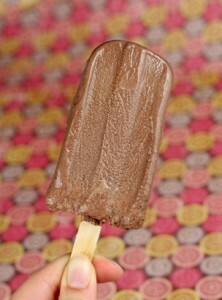 When it’s blasted hot outside, there’s no better way to cool off than with a creamy, chocolately fudgesicle. Save money and a trip to the store by making your own. With only four ingredients, this recipe couldn’t be easier. With no baking or chopping required, this makes a great recipe for kids. The only way to have really good fudgesicle is to use really good cocoa. We use our Ramstadt-Breda Dark Cocoa. It’s rich, smooth, and incredibly flavorful. This will make the difference between a good fudgesicle, and an exceptional one. 1. Mix all ingredients together until smooth. 2. Pour into popsicle molds work the best, you could also use paper cups or even glass ramekins for more of a frozen custard feel. 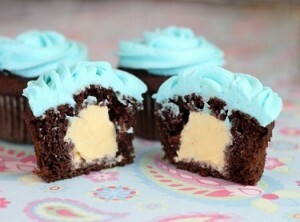 Imagine a cool cupcake filled with your favorite ice cream. They’re easy to make. 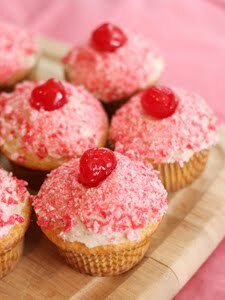 Just make regular cupcakes, core the centers, and fill them with ice cream. The frosting will hide the cuts. Step 1: Make the cupcakes. Step 2: Use a cupcake corer to hollow out the cupcakes. Step 3: Fill them with ice cream. 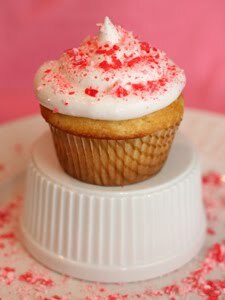 You’ll have a cold cupcake filled with ice cream. We recommend buttercream frosting. It’s light and when it freezes, it’s almost like ice cream. Cool treat. The kids will love them; the adults will be impressed. My favorite cornbread is skillet cornbread. 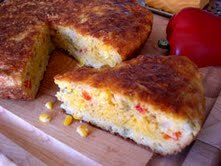 And Merri Ann can’t eat gluten so skillet cornbread is perfect for her—it relies on eggs for the structure, not flour. We’ve made it so often that it has evolved from a series of recipes to a technique. Using a ratio of ingredients, we use this technique to make both sweet and savory cornbread—whatever we are in the mood for—from Jalapeño Cheese Cornbread to Banana Nut Cornbread. Today we’ll tell you how to make your own cornbread and give you several recipes to get you started. At first glance, this is similar to our Cheddar and Bacon Cornbread but it is really quite different, a sweeter cornbread with a different texture. Apple and bacon are a wonderful combination. Instead of cheese, it’s made with melted butter and with maple syrup, it is a little sweeter. Again, it is an egg-rich, skillet cornbread and a flourless recipe. 1. Fry the bacon to a crisp, pat the grease from the bacon with paper towels, and crumble or chop the bacon. 2. In a large bowl, stir together the cornmeal, baking powder, salt and spices. 3. In a medium bowl, whisk the eggs then stir in the milk, melted butter, and maple syrup plus the bacon and apples. 4. Form a well in the dry ingredients and pour the wet ingredients into the dry ingredients. Mix with a spatula until well combined. 5. Bake in a ten-inch, nonstick skillet for 20 minutes or until all but the center of the cornbread is set. Remove the cornbread from the oven and immediately sprinkle the reserved cheese over the cornbread to melt. Serve hot with butter and maple syrup. This is great cornbread. It is best eaten on a plate with a fork, maybe drizzled with maple syrup. You will need a heavy, ovenproof skillet for this cornbread. This recipe was designed for a ten-inch skillet. 1. Place a ten-inch, ovenproof skillet or frying pan on the middle shelf in the oven. (A heavy-duty or cast iron skillet works best.) Set the oven temperature to 400 degrees and let the oven heat while the pan is in the oven. 2. In a large bowl, stir together the cornmeal, baking powder, sugar, and salt. 3. Add the eggs, milk, and corn kernels and stir until well combined. Fold in the cheese. 4. Remove the hot pan from the oven and place the butter in the hot pan. Place the pan back in the oven for a minute or two to allow it to melt. 5. Remove the pan from the oven and pour in the cornbread mixture. 6. Bake the cornbread for 25 to 30 minutes or until the top is lightly browned and a toothpick inserted in the center of the pan comes out clean. Serve warm drizzled with maple syrup. 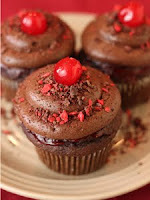 This recipe was adapted from Baking in America by Greg Patent. (We recommend this book.) For our version of this recipe, we used chiles instead of jalapenos, red bell pepper instead of pimentos, and garlic powder instead of clove garlic but feel free to experiment. Preheat the oven to 375 degrees. Grease a ten-inch skillet and place it on the middle shelf in the oven. In a large bowl, stir together the cornmeal, baking powder, sugar, and salt. In a medium bowl, whisk the eggs then stir in the rest of the ingredients, reserving 1/2 cup of the grated cheese. Form a well in the dry ingredients and pour the wet ingredients into the dry ingredients. Mix with a spatula until well combined. Carefully remove the hot pan from the oven and immediately pour the batter into the pan. Sprinkle the remaining cheese on top and return to the oven. Let bake for 20 minutes or until a toothpick inserted in the center of the pan comes out clean. The top will be a rich, golden brown. Let cool for ten minutes before unmolding. Be sure and refrigerate any leftovers. Cut the cornbread into wedges and wrap them in plastic wrap. You will need a ten-inch, ovenproof skillet. A heavy metal skillet is best. Preheat the oven to 375 degrees with the skillet in the oven. 1. Cornmeal. Place 1 1/2 cups cornmeal in a medium bowl. If you are going to use corn kernels, reduce the cornmeal to one cup. If you would like a softer grain to your cornbread, add the liquids and eggs to the cornmeal and refrigerate it for an hour so that the cornmeal grains absorb the liquid. 2. Eggs. Add three large eggs to the cornmeal. It’s the eggs that are going to give your cornmeal structure and hold it together. 3. Fat. Cornbread tends to be dry and the addition of an oil or fat is essential for a moister cornbread. Without adequate fat, your cornbread will be dry. The eggs provide some of the fat. Bananas or applesauce reduce some of the need for fat. Use melted butter or vegetable oil. If you are using cheese, bananas, or applesauce, 1/4 cup will do. (We suspect that you can leave it out all together with a cheesy cornbread.) Other wise, use 1/2 cup. Add the fat when you add the eggs. 4. Spices and salt. Generally use 1/2 teaspoon salt. If you are using cheese, you may reduce it to 1/4 teaspoon. Add whatever spices you choose. One teaspoon of allspice or cinnamon is about right. You can add the salt and spices anytime. 5. Sweetener. For a savory cornbread, one teaspoon of sugar or honey will do. For a sweeter cornbread, we use up to two tablespoons. Add it anytime. 6. Leavening. You can get by without any leavening but we prefer to add 1 teaspoon of baking powder. (If you do not use baking powder, increase the salt by 1/4 teaspoon since baking powder contains sodium.) Since baking powder looses potency after sitting in the batter, add the leavening just before the “additions” and soon before baking. 7. “Additions”. Stir in the additions of choice. 8. Liquid. You will likely need some liquid to make the batter soft and of the right consistency. It should be barely pourable. The amount of the liquid will be determined by the moisture content of the additions but you will need anywhere from a couple tablespoons to one cup. Stir in the liquids after the additions. We usually use milk but you can use what you want from water to a juice. Mix all ingredients well. Notice that this is a one-bowl technique. Remove the hot pan from the oven being careful not to burn yourself. Add one tablespoon of butter and tip the pan from side to side until the butter is melted and the bottom and sides of the pan are covered. Add the batter to the pan. Bake for 20 to 25 minutes or until the top is golden. Serve hot and refrigerate any leftovers. We often serve our cornbread, even savory cornbread, with hot maple syrup. Our gourmet fruit syrups open up some very nice combinations. Jams Jams or just a pat of butter work well too. Dennis Weaver is the founder of The Prepared Pantry. He is the author of How to Bake, a 250 page book about the art and science of baking. You can download a free copy of How to Bake here. Make adorable popcorn balls that don’t just look great, but taste fabulous as well. 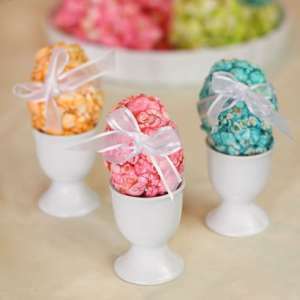 These popcorn eggs make the perfect Easter treat, and kids will love to form the balls. 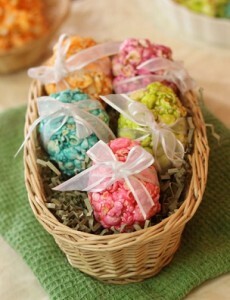 We then used Americolor food coloring gels to make our Easter eggs bright and festive. These colors are nine times more concentrated than liquid food gels and they come in 27 colors, so you can make endless varieties. Pop the popcorn kernels with a popcorn popper. Set aside in 2 large bowls. Over medium heat, melt the butter in a medium sauce pan. Add the corn syrup and water. Stir. Add the sugar. Make sure not to let any sugar stick to the edges of the pan. If one grain of sugar is left un-dissolved, it can cause the whole batch to crystallize. important for the mixture to reach this temperature, if it doesn’t the candy will not harden properly. Add the baking soda and stir quickly as the mixture begins to bubble. Once bubbly and frothy, remove the pan from heat. Add the flavor and food coloring until mixed in. Pour over the popped popcorn in both bowls. Fold into the popcorn until evenly coated. Once the popcorn has cooled slightly, take a handful and squeeze it in your hands to form an egg shape. Tip: If you plan on making several different flavors/colors of popcorn do them all in separate batches. If you were to separate the mixture after cooking a large batch and add color/flavor to each, the mixture will have cooled too much and you will not achieve the right temperature for making candy popcorn. People are intimidated by pies. They shouldn’t be. You can make pies as good as the bake shop—even fancy pies. And they’re yours. And you’ll save a bucket of money. If you have ever had trouble with pies in the past, you won’t again. This is your answer. It’s the crusts that intimidate people. Throw away the recipe—the recipe for the crust is definitely more complicated than a PB sandwich. You have to cut the butter or shortening into the flour with a pastry knife. You have to keep the dough cold, work quickly, and don’t handle the dough too much. Forget all that. Grab a mix. A mix is darned near foolproof. Just add water. Beat it with the paddle in your stand-type mixer for no more than a minute. You’re done. A good crust is not necessarily a pretty crust. Here’s how to make it pretty. Transfer the dough to the pie pan. Trim the edges using a sharp knife or a bench scraper. Make the edges pretty. It’s easier to show you than to tell. Once you’ve done it. It’s simple. Watch the video Here. You’re done. Cut vent holes and bake. Even easier, cover the top with streusel. Use this easy streusel mix. You’ve still got to bake your pie. There are two faults with baked pie crusts: The top edges can burn and the bottom can be soggy, under baked. You can solve both those problems with equipment. Cover the top edge of the pie with a pie shield. Those top edges take a beating in the oven. By the time the bottom crust is baked, the top is burned. A pie shield stops that. Use one every time you put a pie in the oven. You’re ready to go! Grab some recipes and start making some easy pies. Once you’ve made a couple pies, they’ll be as easy as peanut butter sandwiches—almost. You’ll be the designated pie baker at family reunions, church socials, and with friends. No more expensive trips to the bake shop. 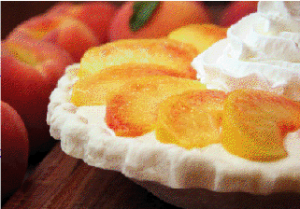 If you have fresh peaches, consider this incredibly good French silk pie. If it is not peach season, consider making this pie with strawberries or mangos. A French silk pie is usually made with dark chocolate; this one uses white chocolate. They are usually made with raw eggs. In this recipe, they are cooked. Mix the sugar and gelatin powder together. Add the eggs, sugar mixture, and water to a large sauce pan. Cook the egg and sugar mixture over low to medium low heat while beating constantly with an electric mixture. Continue cooking and beating until the mixture starts to thicken and reaches 165 degrees being careful not to scorch the eggs. Remove from heat. Immediately mix the butter into the hot egg mixture with the electric mixer until smooth. As soon as the butter is melted and while the mixture is still hot, add the white chocolate wafers. Continue beating until it is completely mixed together and cooled to room temperature. Whip the first measure of whipping cream in your stand-type mixer with the whip attachment until stiff peaks form. Add the vanilla flavor. Add the peaches. Change from the whip attachment to the paddle attachment. Scrape the white chocolate mixture into the bowl with the whipped cream. Turn the mixer onto the slow speed setting and gently fold the chocolate mixture into the whipped cream. Mix for less than a minute, until the white chocolate is mixed into the whipped cream. Scrape the filling into the prepared pie pan. Set aside and let chill. When you are about ready to serve, whip the second measure of whipping cream. As the cream is whipping and after the peaks start to form, drizzle in the sugar and add the flavor. Beat until stiff peaks form. Top your pie with peaches and whipped cream. Dennis Weaver is the founder of The Prepared Pantry. He is the author of How to Be a Better Baker, a 250 page book about the art and science of baking. You can download a free copy of How to Be a Better Baker here. Cookie decorations are the cookie baker’s best friend. It means that you can bake, frost, sprinkle, and you’re done. But what can you sprinkle them with? We’ll show you. Plus we’ll give you alternatives to sprinkling. Immediately after frosting your cupcakes, sprinkle decorations on them. If the frosting starts to dry, the decorations won’t stick. 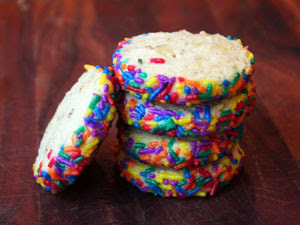 What are the secrets to great sugar cookies? Choose a color. Gel food colors will give you better control over your colors than liquid food colors and there is a myriad of colors available. Second, don’t over bake them. If you roll your dough thin, they’ll bake in six or seven minutes and tend to be crisp. If you roll them thicker—as I like them—they’ll bake in eight to ten minutes. They’ll be softer and moist. Decorating sugar or “sanding sugar” comes in an array of colors, both pastel colors like sage and lavender and primary colors—solid red, black, green and more. It also comes in blended combinations of colors. Decorating sugars come in fine grain and larger crystals, AA being the largest that is commonly available. 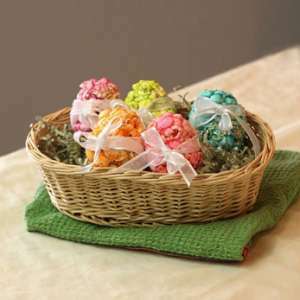 You can also buy white sugar, add a drop of food color, and stain the sugar any color you wish. We sell 27 different food colors so you can color your sugar just the right shade. Metallic sugar crystals come in sliver and gold. We used these for my daughter’s wedding. They really do look like metallic pieces, pieces of gold or silver but the silver pieces are less shiny and remind me of pewter. They are larger than AA sugar crystals. These are distinctive, classy decorations. Jimmies are another choice (PPJimmies are our brand name for jimmies decorations). They come in a choice of colors and in blended colors. To me they are very nearly flavorless except for chocolate jimmies which I like. Recently we discovered bark decorations. Bark is a combination of chopped candy and white chocolate pieces. You may know of almond bark and peppermint bark. For decorations, the candy is chopped into pieces. 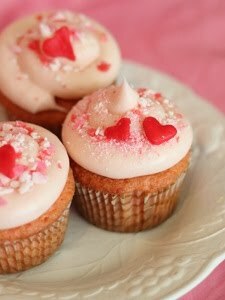 The candy is intensely flavored so instead of just making your cupcakes pretty, you get a burst of flavor. My favorites are lemon cream, cherry, and strawberry cheesecake. For me, these are top-of-the-line decorations. I love adding flavor, not just color to the cookies. If there is a downside to bark, it is that there are fines in the mixture. Those can be removed with a sieve. There are other decorations available, not as often used. Wilton makes some luscious toppings and we carry them. The turtle candy topping is noteworthy. We also carry some cute little candy discs. techniques—everything you need to make perfect cookies. Would you like to bake perfect cookies? Learn to troubleshoot cookies? Or even make cookies without baking? Get your free guide now. Just tell us where to send it. You can buy premade fondant in most craft stores or from The Prepared Pantry. We carry white fondant as well as colored fondant. You can also use food coloring gels to tint the fondant the desired color. 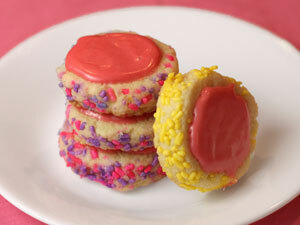 It’s fun to decorate the edges of a cookie; you can do that with refrigerator cookies. 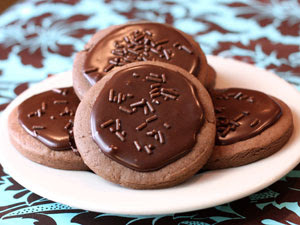 Cookies with minimal spread work best for decorating. For best results, look for recipes that have a higher flour to sugar ratio or for those without leavening (refrigerator cookies with a high sugar content are usually light and crisp because the sugar in the dough melts in the heat of the oven. Cookies without leavening tend to be rich and shortbread- like but decorate nicely. The Festive Fruit and Oat Cookies and The Coconut Cranberry Cookies are perfect for edge decorating). 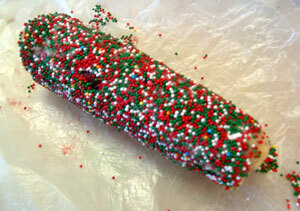 Use large colored sugar crystals, turbinado sugar decorating sprinkles, decorating jimmies, crushed candies, or nuts. Simply roll the log of dough in the decorating materials prior to slicing the cookies. If you roll the log with the sugar or other decorations in waxed paper or parchment paper, you can press them into the surface of the dough. Some instructors use an egg white wash to assure that the candies stick to the log. Except for nuts, we don’t. We don’t find it necessary and the moisture from the egg white tends to melt the candies or sugar crystals into a blurry mess. To showcase the edges, we usually cut the slices just a bit thicker before baking. We color white sugar crystals any color we like by mixing a few drops of food coloring with the crystals. You can buy large bags of white crystals to make a collection of different colors. Turbinado is an excellent coating sugar with its amber color and large crystals . Learn more about turbinado sugar. I love making sweet rolls. They’re not quick but they’re easy. 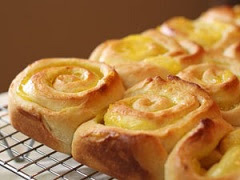 You can make sweet rolls a thousand different ways. And they’re hero food. They can be so good that your family and friends will make a hero out of you. Last week, Julie Rencher in our test kitchen was the hero. 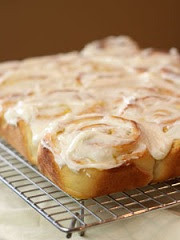 She made really good sweet rolls—apple pie cinnamon rolls plus lemon cream rolls and raspberry cream rolls. 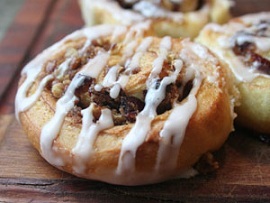 She made them like cinnamon rolls but substituted pastry fillings for the cinnamon and sugar fillings typically found in cinnamon rolls. She made them; I handed them out. I handed out apple pie cinnamon rolls while they were still warm and covered with caramel frosting. People were swooning over them. One fine lady said she didn’t like to bake, that she was just picking up pancake mixes and syrups. But she sure liked the cinnamon rolls. I explained that they were easy to make. She listened and for a minute; I thought she might be persuaded. She left without the fixin’s but she didn’t leave hungry. You can use a bread recipe, but to make it even easier—easy enough for non-bread makers—use a mix. You can make it with your bread machine set on the dough cycle or with your stand-type mixer. It’s that easy. I’ll give you more directions in the recipes but basically, you’re substituting a pastry filling for a filling of cinnamon, butter, and sugar. 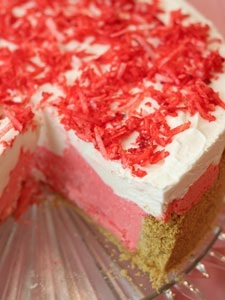 You can use any pastry filling you like from raspberry to Bavarian cream. Often, we mix a fruit filling with a Bavarian cream or a cream cheese filling to make an apple cream or raspberry cream filling. If you buy a tube of premade filling, it’s super easy. Snip the corner off the tube and squeeze what you want on the sheet of rolled out dough. Lots of filling is better so we usually use a couple cups of filling, about half a tube. 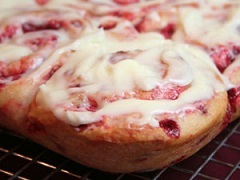 We have a new cherry filling, Chubby Cherry that makes great sweet rolls. Can you use a pie filling instead of a pastry filling? Yes, but the pastry filling is better. With a pie, you get a little bit of pastry with a lot of pie filling where with a pastry, you get a lot of pastry with less filling. The pastry filling has to be more intense to balance. The pastry filing has more flavor and is usually a little sweeter. In our store, the pastry filings are usually less money. The following pastry fillings are commonly available. 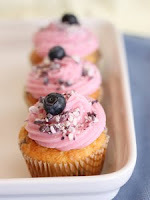 They are used not only as pastry filings but fillings for cupcakes and between layers of cakes. Using a rolling pin, roll the dough into a rough rectangle on a floured counter with the dough about 1/4-inch thick. Spread the pastry filling on dough. Roll the dough into a log with the filling trapped inside. Pinch the seam with your fingers to keep the filling from falling out. 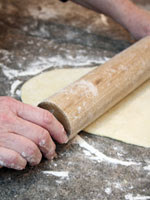 Using a rolling pin, roll the dough into a rough rectangle on a floured counter with the dough about 1/4-inch thick. Spread the pastry filling on dough. Roll the dough into a log with the filling trapped inside. Pinch the seam with your fingers to keep the filling from falling out. Let the rolls cool for five minutes and then frost them. 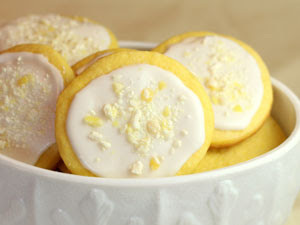 While the frosting is still soft, sprinkle with the Lemon Cream Bark Topping. After the dough has risen, fold in the raspberry chips kneading until the chips are dispersed. Do not knead more than necessary. Let the rolls cool for five minutes and then frost them. Add the flavors and milk. Beat the mixture, adding powdered sugar until the consistency reaches a soft frosting just right for spreading. My grandfather had a big orchard. At least it seemed so to us boys. We spent hours in that orchard—climbing trees, checking out bird nests, eating green apples, and doing what boys do. The outer row of trees had peach and plum trees and I don’t remember what else. We didn’t spend much time in that row. The inner rows always beckoned, more secretive and better to explore. There was a giant, gnarled apricot tree with spreading branches that was easy to climb. There was a whole row of apple trees—Jonathans, Winesap, and I don’t remember what else. In the far corner of the orchard was a pillar of a pear tree with branches so thick and tall that it was difficult to climb and with a tangle of low plum bushes behind and along the fence. Beyond the plums and pears were the sand lots with sagebrush and scattered ponds with lots of frogs and an occasional jack rabbit. It was a boy’s paradise. The skies were leaden and we kept sticking our hands in our coat pockets to warm them up. The wind found its way through the orchard to bite our noses and turn our cheeks red. But the apples were incredibly good–cold, crisp, and sweet. We picked bushels to take home and store in our covered porch where we could have them until late in the winter. I learned how to bake apple pies from my mother. I don’t recall her using a recipe. She would roll out the dough and line a pie pan. She would toss peeled and sliced apples in cinnamon, sugar, and flour. She would load up the pie pan and place chinks of butter over the apples before covering it with a top crust. In my memory, her pies were the best. Rarely do I use a recipe when I make an apple pie. I just load and bake as my mother did. 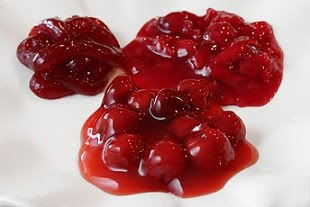 But I’m prone to add ingredients that my mother often didn’t have—bright red cranberries either fresh or dried, golden raisins, sour cream, or caramel sauce—whatever sounds good at the moment. I have a choice of cinnamons; she had whatever was at the store. She would put one of her boys at the sink peeling the apples; I use an Apple Master. I don’t think my pies are as good as the memories of my mother’s pies but I like them and I like making them. 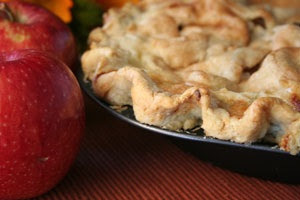 You can freelance your apple pies or you can start with a recipe and then add what you want to it. Here you will find a list of suggested ingredients like sour cream, dried cherries, and walnuts. You’ll find quantities but you can add more or less—it’s your pie. The top crust always seems better if it’s slathered in butter and coated with a sprinkling of sugar and cinnamon. You’ll find a choice of cinnamons here. This is a good recipe to use as base. It makes a nice rounded pie. Add more goodies to it. If it stacks higher, so much the better. Be sure and use a dark pie pan so that the crust bakes and is not soggy. We recommend a pie crust shield to protect the edges from burning so that you’re not tempted to remove the pie from the oven before the apples are tender and bottom crust is baked. Use an Apple Master to peel and slice your apples. Not only will it save you a lot of time but your slices are uniformly thick so that they bake uniformly. A just-add-water pie crust mix will save you more time and give you a tender professional crust every time. Apples and cinnamon are essential companions. You have a choice of three cinnamons. Ceylon or Sri Lankan cinnamon is very mild and fruity. Korintje cassia cinnamon is what we are most familiar with—but the quality ranges widely. Vietnamese or Saigon cinnamon is very aromatic and flavorful with a taste of cinnamon oil. For apple pies, we use Vietnamese most often. 9-inch double crust pastry from a just-add-water pie crust mix or equal. Toss the apple pieces with the lemon juice and set aside. Prepare and press the pie crust into a dark pie pan setting aside the dough for the top crust. Trim the crust. Do not bake the crust. In a large bowl, mix the sugar, flour, and cinnamon together. Add the apples and toss them with the dry ingredients to coat. Scrape the apple mixture into the unbaked pie shell. Cut the butter into chunks and spread on top of the filling. Roll out the top crust. 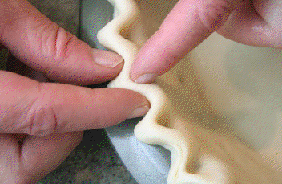 Brush the top edge of the bottom crust around the rim with water to help the two crusts seal. Place the top crust over the pie. Trim the crust and seal the two crusts with the tines of a fork or with your fingers. Mix the remaining 1/2 teaspoon cinnamon together with the remaining sugar. Brush the melted butter over the top of the pie. Sprinkle the cinnamon and sugar mixture over the top of the pie. Cover the edges of the pie with a pie crust shield to keep it from burning. Bake for 35 to 45 minutes or until the pie is bubbly and the crust is golden. 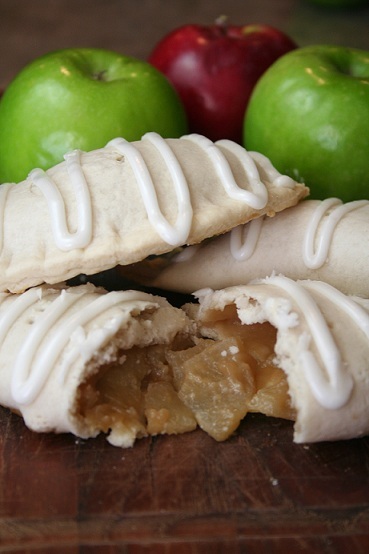 You can have a batch of little apple pies in the oven in 20 minutes. That’s easy. 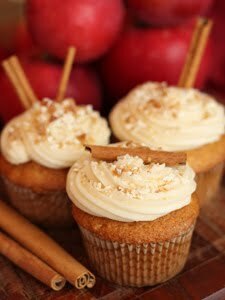 But we wanted to make them extra special using the best fresh apples of the season. You can do that too. Step 1: Mix and roll out the pie crust. You’ll need a just-add-water pie crust mix to make a good crust in a hurry. Elapsed time: 4 minutes. Step 2: Use a dough press to cut out six circles for the little pies. Elapsed time: 2 minutes. Step 3: Use an Apple Master to core, peel, and slice your apples with a few twists of the handle. Add the browns sugar, cream, and starch or other ingredients from the recipes below. Toss. Elapsed time: 5 minutes. Step 4: Place the circles in the press one at a time. Press about 1/3 cup apple filling into the center. Brush the edges with water and fold and crimp with press. Place them on a baking sheet and bake at 350 degrees for about 12 minutes. Elapsed prep time: 5 minutes. 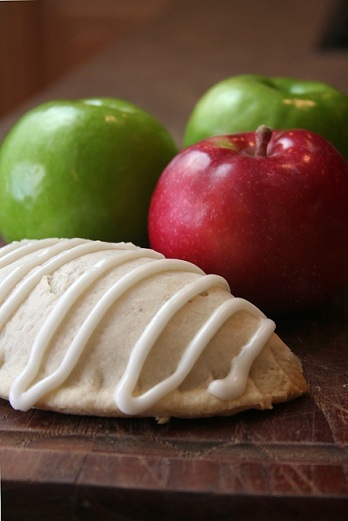 Using a premade apple pastry filling is really quick and easy. You can knock about five minutes out of the sequence above. And the apple pastry filling that we sell is very good. But you can knock your family’s socks off with a homemade filling. 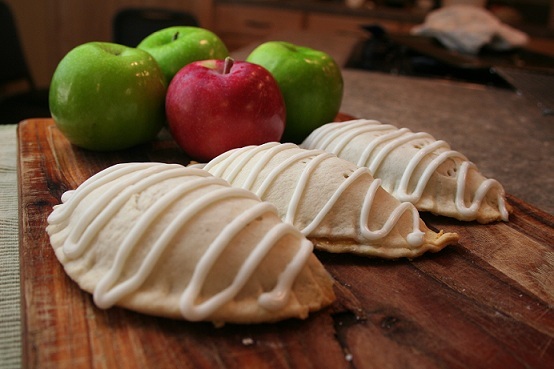 We wanted to make little apple pies using the best fresh apples we could find. We prepared the apples, added plenty of brown sugar and butter for the caramel, and made the pies. Too much juice. You couldn’t pick them up and eat them without making a mess. So we added starch. We used Instant Clearjel. It’s precooked and does not require further cooking. As long as you cook your pies all the way through, you can use cornstarch. We used Granny Smith apples for these pies but you can use any good cooking apples. We wanted a Carmel Apple Pie. We made one using caramel ice cream topping. Along the way, we created a Brown Sugar Apple Pie, a Cinnamon Apple Pie, and a Sour Cream Cranapple Pie. This is a very simple recipe to make. The filling is simply apples, caramel ice cream topping, and a little starch. We heated the ice cream topping so that it was easy to toss the apples in the topping. We used firm Granny Smith apples and no further ingredients were needed. Not counting the water and frosting, this is a three ingredient recipe. Mix the pie crust mix and water. Roll out the pie crust until it is just less than 1/4-inch thick. Use a dough press to cut out six circles for the little pies. Warm the ice cream topping in the microwave just until it flows easily. Place the prepared apples in a large bowl. Sprinkle with Clearjel. Pour the caramel filling over the apples and toss the apples until coated. Place the circles in the press one at a time. Scoop about 1/2 cup filling into the center. Brush the edges with water and fold and crimp with press. Place the completed pie on the baking sheet. Repeat with the remaining five dough circles. Poke four sets of vent holes in each pie to allow steam to escape as the pies bake. Bake for about 12 minutes or the pies begin to brown. Remove to a wire rack to cool. 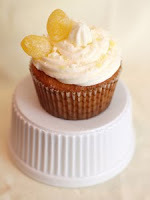 You may use whatever flavor you prefer: vanilla, brown sugar caramel, orange, lemon, butter rum, butterscotch, or more. For these pies, we used caramel. Make your icing by mixing 1 1/2 cups powdered sugar with 1 1/2 tablespoons meringue powder. Add 2 to 3 tablespoons water and 1/2 teaspoon flavor. Mix until smooth and spreadable adding more water as necessary. Do not make the frosting too thin. Drizzle the frosting over the completed apple pies using a disposable pastry bag or a zipper-type plastic bag with the corner cut. This is a scrumptious apple pie. It’s a simple pie to make. The filling is made with brown sugar and cream plus Instant Clearjel to thicken the sauce. 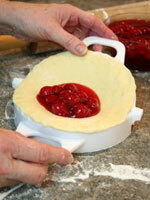 You can use cornstarch to thicken the filling as long as your little pies are cooked all the way through. Make your icing by mixing 1 1/2 cups powdered sugar with 1 1/2 tablespoons meringue powder. Add 2 to 3 tablespoons water and 1/2 teaspoon flavor. Mix until smooth and spreadable adding more water as necessary. Do not make the frosting too thin. Drizzle the frosting over the completed apple pies using a disposable pastry bag or a zipper-type plastic bag with the corner cut. 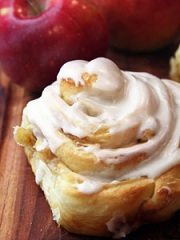 Cinnamon was made for apples. We love the bright, distinctive taste of Vietnamese cinnamon and highly recommend it. 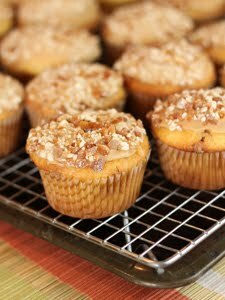 We first made these with 1 1/2 teaspoons of cinnamon and most of us thought it was just right. Some thought that it was too much cinnamon and we cut it back. Mix the pie crust mix and water according to package instructions. Roll out the pie crust until it is just less than 1/4-inch thick. Make the filling by mixing the brown sugar and cinnamon with the Instant Clearjel. Add the cream and stir until combined. You should have a thick sauce. Place the prepared apples in a large bowl. Pour the cinnamon filling over the apples and toss the apples until coated. You may use whatever flavor you prefer: vanilla, brown sugar caramel, orange, lemon, butter rum, butterscotch, or more. For these pies, we used orange. Make your icing by mixing 1 1/2 cups powdered sugar with 1 1/2 tablespoons meringue powder. Add 2 to 3 tablespoons water and 1/2 teaspoon flavor. Mix until smooth and spreadable adding more water as necessary. Do not make the frosting too thin. Sour cream in a apple pie makes for a rich, creamy pie. This one has tart, ruby-red cranberries poking through the filling. Place the prepared apples and cranberries in a large bowl. Pour the sour cream filling over the apples and toss the apples until coated. You may use whatever flavor you prefer: vanilla, brown sugar caramel, orange, lemon, butter rum, butterscotch, or more. For these pies, we used lemon. Mix until smooth and spreadable adding more water as necessary. Do not make the frosting too thin. Drizzle the frosting over the completed apple pies using a disposable pastry bag or a zipper-type plastic bag with the corner cut. 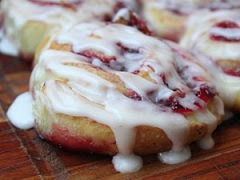 Really good cranberries, If you prefer, you can use a premade apple pastry filling. Your dough press can also be used to make calzones and pocket sandwiches. You can download a free e-book that tells you how to make pocket sandwiches with great recipes. Dennis Weaver is the founder of The Prepared Pantry and the author of How to Bake a 250 page book that you can get for free. 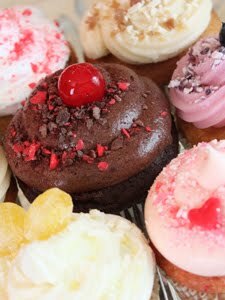 You can get a dough press and other baking tools and supplies at the company’s store as well as a complete prepared pastry fillings including Bavarian cream and Raspberry. A free baker’s library can be found on the company’s site.